As mentioned yesterday in the outfit post, I visited the Alhambra when I was in Spain a week ago. The Alhambra is an Arabic palace and fortress complex built in the middle ages by the Moors. It was built for the last Muslim emirs in Spain. At that time the Moors had power over that region of Spain. All the buildings are very beautiful. As are the views, the plants, everything! See for yourself in the photos! Featuring in the photos: my lovely sister who also has a blog. Check her out at Fashion Was My Second Love! They also had very pretty flowers I just had to take pictures of! I hope you enjoyed the post! Do you like the photos? Hee, dat ben ik! Alhambra was mooi. Wist niet dat Spanje dat zo had! 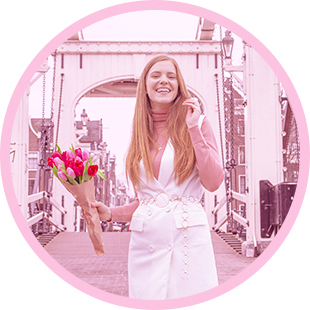 Ik geef mijn eerste giveaway op mijn blog waar je een $ 25 shop tegoed kan winnen !